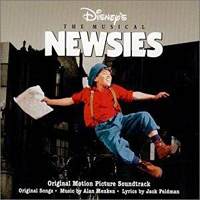 Original Broadway Cast, 2012 (Ghostlight) (4 / 5) Alan Menken employs a semi-period, semi-contemporary musical vocabulary for this stage version of the 1992 Disney film of the same title, to terrific effect, and Jack Feldman’s lyrics have a verve and wit that match the melodies beautifully. 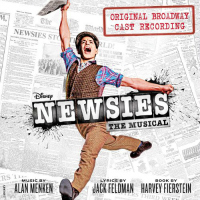 For those who grew up on the film about a newsboys’ strike against newspaper owner Joseph Pulitzer, the Broadway cast recording has most of the songs that they loved from the movie score, including the soaring “Santa Fe” and the rousing anthem “Seize the Day,” plus a large handful of new ones written specifically for the stage show. 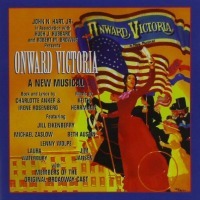 Something else this album has that the film soundtrack doesn’t is the enormously appealing presence of Jeremy Jordan, who, beyond sounding terrific from a musical/vocal standpoint, brings a great balance of streetwise toughness and vulnerability to his portrayal of the strikers’ leader, Jack Kelly. Other fine work includes Kara Lindsay’s smartly pert performance as a girl reporter who becomes Jack’s love interest, and Capathia Jenkins’ saucy turn as a music hall performer. 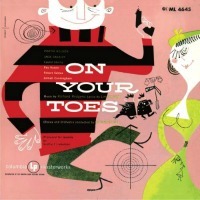 The odd thing about the recording is that the show’s big dance numbers appear twice — once each in truncated form, then again as bonus tracks in full versions with dance breaks that feature Mark Himmel’s arrangements, excitingly orchestrated by Danny Troob. Having the complete tracks at the end of the album means that listeners who wants to get a full sense of the show, or to re-experience what they saw in the theater, have to set up a special playlist with the proper run order. It’s cumbersome, and it ultimately detracts from the recording’s ability to genuinely communicate the thrill that live audiences got from this sleeper hit. — A.P. 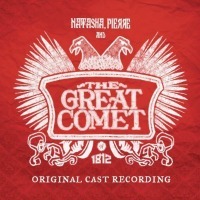 Broadway Cast, 2017 (Reprise) (5 / 5) Natasha, Pierre & the Great Comet of 1812 was slightly revised for its transfer to Broadway. 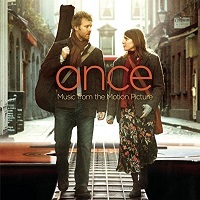 Dave Malloy performed some minor surgery on the score, primarily in Act 1, where certain sections are shortened (“The Private and Intimate Life of the House”), tweaked (“The Duel”), or rewritten altogether (“Sunday Morning”). The changes are relatively small in sum, but their impact is immense. Only the expansion of “The Abduction” (adding an extra three minutes) is a slight misstep, as that sequence now overstays its welcome before finally plunging into “In My House.” Malloy also appropriately expanded his vocal arrangements for a larger ensemble, and did some light re-orchestrating for a more sizeable orchestra; the sound is now even more lush than before, but not overwhelming. 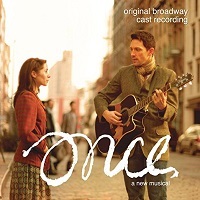 The majority of the supporting cast is the same here as on the Off Broadway recording, and having now lived with their roles for three years (on and off), most have improved their performances. 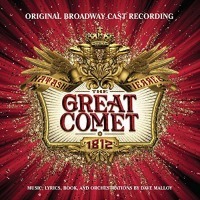 Brittain Ashford, especially, makes a stronger impression here with a more defined, energetic Sonya, and Lucas Steele provides an even more exotic Anatole, bringing extra heat to the recording. The biggest casting changes are in the two title roles: singing superstar Josh Groban is Pierre, and newcomer Denee Benton is Natasha. Though Benton has a smooth, clear voice, it doesn’t reach the same heights as Phillipa Soo’s; nor is Benton’s performance as endearing as her predecessor’s, and she tends to emphasize Natasha’s naiveté in broad strokes. Still, she does well in quieter moments such as “No One Else,” and in “Pierre and Natasha” with Groban, who brings a great deal of soul to the recording. While Malloy more fully inhabits the “everyman” characteristic of Pierre on the Off-Broadway album, Groban’s voice is stronger and more passionate, his performance deeply moving. Groban also gets a wonderful new song: “Dust and Ashes,” Pierre’s fierce plea to wake from his existential coma. 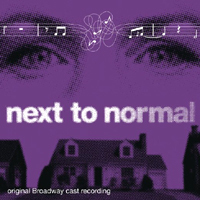 Though some fans of the previous recording may miss Soo’s performance, this one is the definitive representation of Dave Malloy’s masterwork. — M.K. Encores! 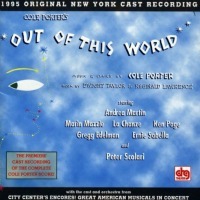 Concert Cast, 1995 (DRG) (4 / 5) Out of This World was obvious fodder for a big-league concert performance that could spotlight the songs and stars and elide the worst parts of the script. So it was that the New York City Center Encores! 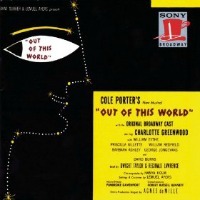 series tackled Cole Porter’s problematic Greco-Roman extravaganza in 1995. The recording that resulted doesn’t always compare favorably with the original Broadway album, but some aspects of it are clearly better and, overall, it’s sheer bliss. Happily, the star at its center is up to her assignment: Andrea Martin is just terrific, especially in her rendition of “I Sleep Easier Now.” For the most part, Ken Page is strong if a dash overbearing as Jupiter; the character should be loud, but there’s always room for shading, isn’t there? In other roles, Marin Mazzie and La Chanze are outstanding, both singing with beauty and spirit. “From This Moment On” is back, and Mazzie and Gregg Edelman do a very good job with it. Peter Scolari is fine as Mercury, Ernie Sabella is a scrappily funny gangster, and Rob Fisher’s Coffee Club Orchestra plays with its customary class. — R.B. 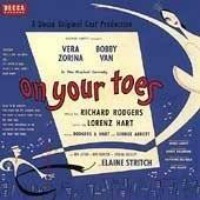 Broadway Cast, 1954 (Capitol/Angel) (2 / 5) The 1954 revival of On Your Toes starred premiere danseuse Vera Zorina, who had starred in the 1937 London production and the 1939 movie version. But she’s not heard on the cast album — because her character, Vera Barnova, does no singing. 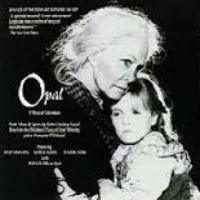 Nor is this recording at all faithful to the tone of the show as originally conceived and written; Don Walker’s arrangements, adept enough in their brassy way, don’t feel right for this comparatively gentle and witty score. Light-on-his-feet leading man Bobby Van is also light of voice, and his love interest, Kay Coulter, is a nonentity even in such can’t-miss material as “There’s a Small Hotel” and “Glad to Be Unhappy.” Joshua Shelley, a reliable Broadway pro, is almost unintelligible in “Too Good for the Average Man,” But this Capitol recording, long out of print and belatedly reissued on CD (with too much treble in the mix), does have its ace in the hole: Elaine Stritch, serving up an unforgettable performance of “You Took Advantage of Me.” It’s a rare instance of a Rodgers and Hart interpolation actually helping one of their scores. — M.M. Broadway Cast, 1983 (Polydor/JAY) (4 / 5) Director George Abbott, at age 96, returned to Broadway with this impeccably produced revival and was rewarded with a long run and critical adoration. Hans Spialek, almost as old as Abbott, was on hand to restore his orchestrations; they’re as imaginative and distinctive in 1983 as in 1936, and John Mauceri conducts them like the authority he is. Ballerina Natalia Makarova danced gracefully in this show and also proved herself to be a knockout comedian, but you won’t find her on the cast album. However, you will find Christine Andreas, offering a definitive “Glad to Be Unhappy.” She overpowers her leading man, Lara Teeter, a brilliant dancer but an uncertain singer. Nor does Dina Merrill, thin of voice and not naturally funny, quite measure up in “The Heart Is Quicker Than the Eye” or “Too Good for the Average Man” — but, luckily for her, she’s wonderfully partnered in “Average Man” by George S. Irving. Overall, this digital stereo recording is a fine preservation of a joyful production. 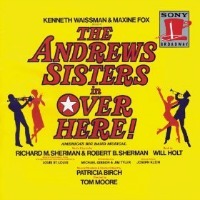 The CD edition includes an extended “Slaughter on Tenth Avenue,” the “Princess Zenobia” ballet, and a sensitive “Quiet Night” reprise by Irving. — M.M.